Social media is essential for both B2B and B2C brands. Even so, though, they don’t necessarily look the same. B2B marketers can get a great deal of inspiration from their B2C counterparts, but some methods common in the B2C sphere will fall flat. The same is true in reverse: While the B2B perspective in social media is thought-provoking, it won’t connect with the average consumer. Understanding the divide can make your social promotion strategy more effective. While all audiences are hungry for quality blog posts, B2B decision-makers need more: That’s especially true as they advance in the buyer journey. Sales are cemented by thorough, well-researched content including white papers, case studies, and detailed e-books. B2B buyers love all kinds of Web content, but they generally prefer creative, visually-focused treatments of topics that reflect their values and needs. A B2C social media strategy should emphasize video content, infographics, and shareable imagery that helps to spark discussions. When it comes to B2B social media, LinkedIn is the undisputed leader. Many experts have even concluded that LinkedIn generates the majority of B2B leads on the Web at large. With the right warm prospecting and community management strategies, you can build a reliable pipeline. B2C customers are attracted to the fun and freewheeling nature of platforms like Facebook and Twitter. Facebook is an ideal solution for remaining connected with your current customers and power-users, while Twitter is a perfect place to fish for local business leads. 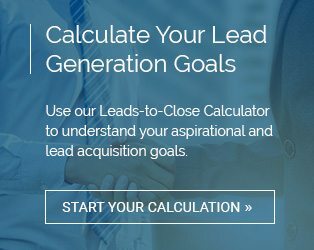 Lead generation is the central goal of your B2B social media strategy. The best way to know whether your outreach efforts are doing their part is by measuring Web traffic attributable to your social efforts. With this focus, you can see which platforms and content matter most. B2C is a completely different animal. Efforts here hinge on community: You are cultivating an audience that’s engaged with your brand and informed about what you have to offer. In the long run, that will help you obtain positive reviews, referrals, and higher customer retention. Social media should always be approached with a deft touch. Your messaging, content types and even schedule of posts should be aligned with the expectations of your core audience. That means tuning in to the subtle signals that whole sections of your user base send over time. When sophisticated social media drives leads to a useful, informative site packed with compelling Web content, you have the makings of a complete sales funnel that facilitates bottom line results.